Supreme Fantasy granite is visually stunning with beautiful mineral colors of gold, cream, gray, and charcoal. Every slab is unique, so no two are exactly the same! 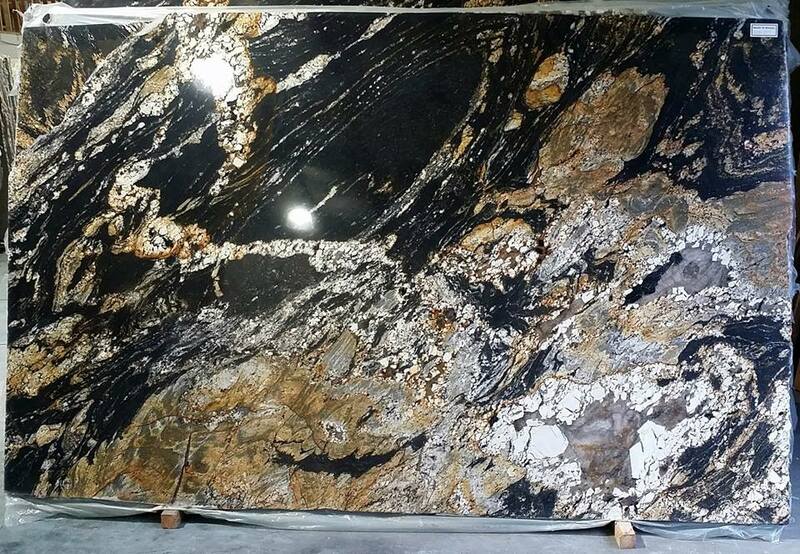 This amazing granite has lots of movement and would be ideal on a kitchen island – a fabulous focal point! Since we are direct granite importers, we pass the savings to our customers! The cost for granite countertops today is very affordable. We have discount prices on Supreme Fantasy granite as well as on over 4,000 slabs that are in stock! Stop by or call to speak to one of our experienced designers for a free, no obligation consultation and let us show you the different styles and designs we currently have available.